From being woken to Geoff banging on the windows of his home, to lost shoes at open for inspections, Michael Szulc recounts a few of his most memorable moments from his 20-plus years as part of the Cayzer team. When Michael Szulc moved from Geelong to Melbourne to embark on the city phase of his property career, one purchase high on his list was his own bricks and mortar. He knew what he wanted. He knew his budget. And it didn't take him long. Michael recalls, "My first property was a little house in Bevan Street, Albert Park. It was a one bedroom brick home. I'd been to an auction in Esplanade East, Port Melbourne, and the house I had my eye on there went for $175,000. I had $150,000. Then this home popped up and it was terrific. I lived in that for many years. And I was fortunate enough to buy some other properties in that street. One benefit of living in Bevan Street was its proximity to Cayzer's Albert Park office. Living literally metres from the front door, I would only have to roll out of bed and walk around the corner in the morning. If I set my alarm, that is. If I overslept for a sales meeting, Geoff would come looking for me and bang on the window," Michael jokes. "He's told me to straighten up once or twice. I've had more than 20 years working with Geoff and it has gone super quick. I've seen my share of entertaining stories." Here are two of Michael's favourites. 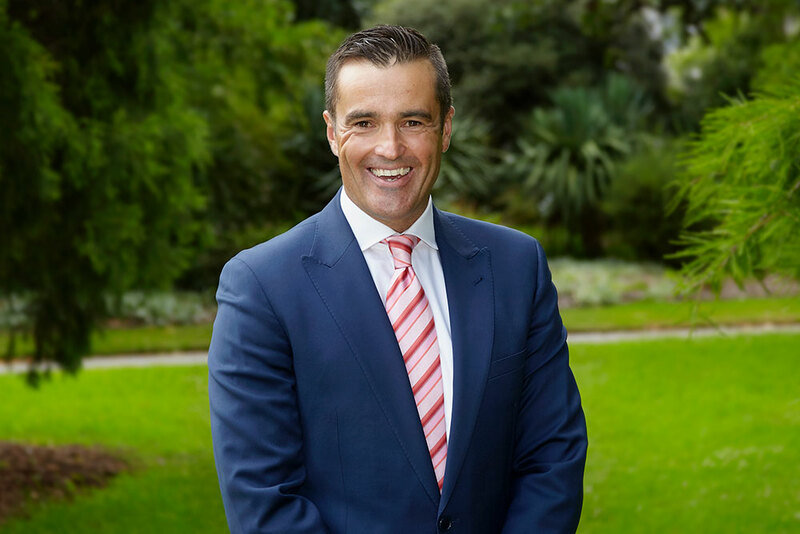 "Many years ago, I was selling a Port Melbourne property and the auction was in full swing. There was a young guy – early 20s – bidding really strongly, and things were looking promising. I stopped the auction. The mother whisked her son away, telling me: 'He can't bid', so I realised he was just having some fun. I went inside and told the vendors. I didn't know what to suggest. This man had been going up in big increments. After some discussion, I took the auction back to the price we were at when that bidder had entered – $100,000 lower than where we were when the mother ran over – and luckily the house still sold. Real estate antics aren't confined to auctions – open for inspections can be memorable too", Michael recounts. "At one property, we all had to take our shoes off. Agents, potential buyers, everyone. At this particular open for inspection there would have been a dozen pairs of shoes at the door. Geoff hates taking his shoes off. One of the last people through was a vision impaired man. I asked Geoff if he could lock up, as I had to leave. He said of course, no problem. But when Geoff went to put his shoes on to leave, they were not where he had left them. Next thing I know, Geoff is calling me and saying, 'MS, my shoes have gone'. I could only think it would be the vision impaired man. When I called him, sure enough he had worn them home. That could only happen to Geoff. And yes, he did get his shoes back!"